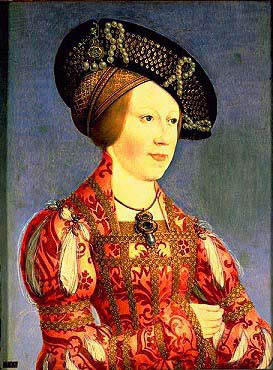 Pg 298-301 See also woodcut by Maler and 2 woodcuts by Erhard Schon – Maria of Castile and Anne of Hungary/Bohemia 1519 with similar hats. See also the website for the Thyssen-Bornemisza Collection. The hat has a wide circular brim that contains the pearl and spangle embroidery and attached medallion decoration. The brim is stiffened to hold the weight and maintain the shape; then backed with additional velvet. A soft velvet circle is added to cover the head and is lined with silk. The hat is designed to perch on the side of the head. In the portrait it is on the left side. In practice the hat works on either side; with the medallion sitting either to the back side or the front. Under the hat is a beaded caul which holds the hair. The pearls on the hat are large. In the portrait they dwarf the spangles and are approximately her eye iris size. 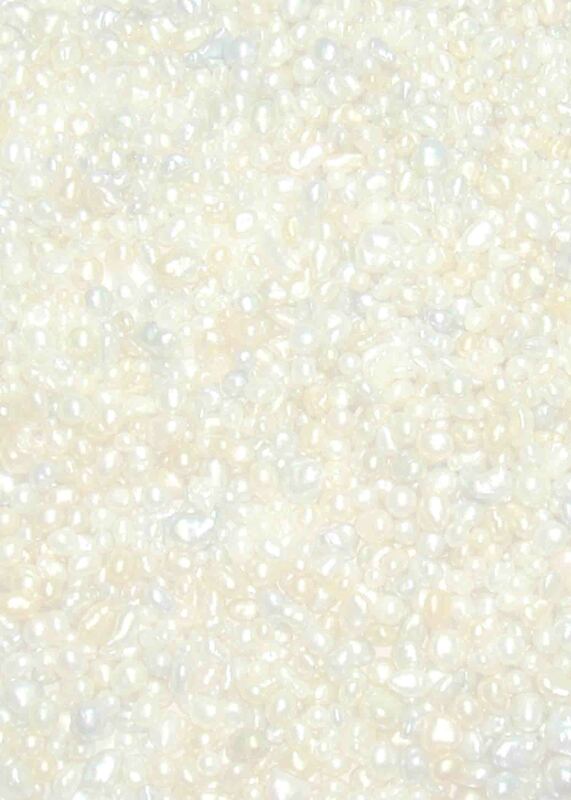 Since mine is approximately 9 mm, the pearls I used are 8-9 mm. The spangles are #8 which are approximately 4 mm and are 14 k gold. I choose to use a premade medallion which was a gift to me from Mistress Sorcha Careman when she was Princess of Oertha. She knew that I did German garb and had found a medallion that was in keeping with such. In the portrait there are 3 even larger pearls hanging from the medallion, while mine has a piece of black glass on a gold bezel. The base muslin was framed up on the slate frame. Then the velvet was sewn down. 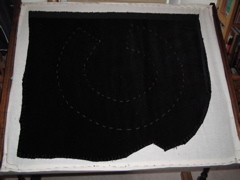 The outline of the hat brim was sewn into the velvet to create the frame for the bead placement. The pearls were strung on silk cord. Then the pearls were couched down to hold them in place. The cord was plunged to the back and tacked down. 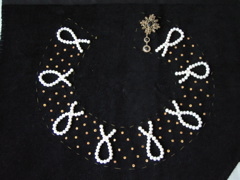 There were 14-16 pearls used in the portrait for each "ribbon" and I kept to the same number. The spangles were sewn down in a scatter shot design rather than the netted pattern of the original; which would be financially painful. There are over 100 14 k. gold spangles, each sewn with 2 or 3 stitches in silk thread. 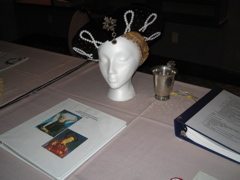 The final hat on display at 12th Night with a printout of the original portait sitting in front of it as part of the cover to my documentation binder.